Police say the suspects are wanted in reference to a Dec. 1 theft at the Metro PCS store in Cherry Hill. 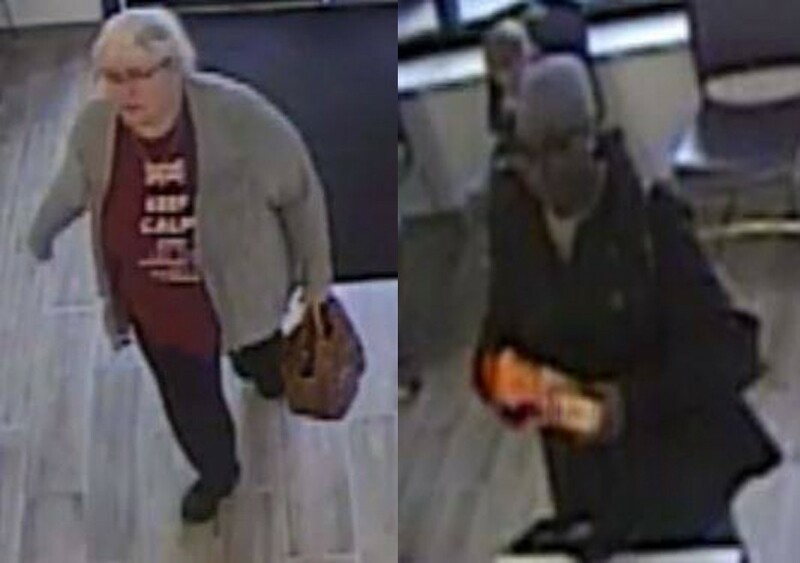 Cherry Hill Police are asking for the public’s assistance in identifying a pair of theft suspects. Police released surveillance photos of the suspects on social media on Tuesday. The two women in the photos are wanted in reference to a theft on Dec. 1 at the Metro PCS story on N. Kings Highway in Cherry Hill. Anyone with information on the suspects is asked to contact Det. Grimaldi of the Cherry Hill Police Department at (856) 432–8835 or Kgrimaldi@cherryhillpolice.com. Information can also be provided anonymously at tips@cherryhillpolice.com or http://nj-cherryhill.civicplus.com/forms.aspx?FID=84.